Helderberg Farm Blue Route starts in the forest and then ambles through the vineyards and up the foot of the Helderberg Mountain. At the top is a fabulous lookout point. This particular route is also ideal for mountain biking. 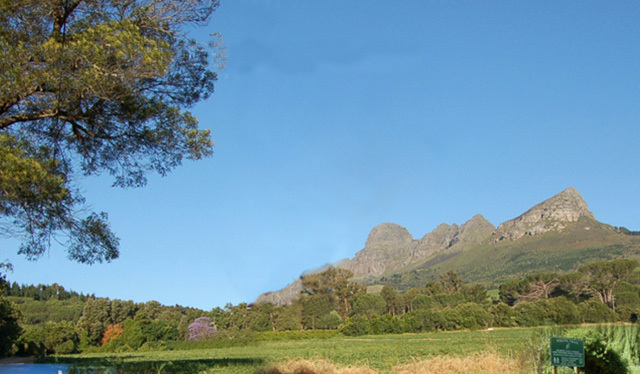 Helderberg Farm Blue Route is 3.5km from the centre of Helderberg , the nearest airport 27.3km (Cape Town International Airport).